Epoxy coatings have a reputation for being extremely durable and long-lasting. That’s why they are so commonly used in garage floor systems and other areas where durability is key. 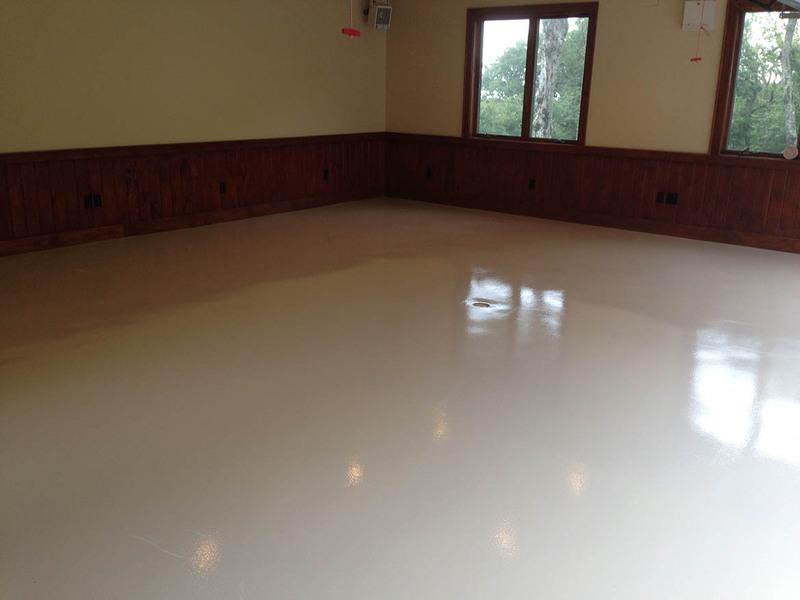 Epoxies provide a very chemical resistant coating that is wear-resistant and repels oil and grease stains. Epoxies are also ideal for being used in garage floor systems because they resist hot tire lifting. Epoxies can be clear, solid colors, or even shiny metallic. Since there are so many options available color-wise, the choices are almost endless in regards to getting the look you want! We are extremely experienced and knowledgeable in using epoxies in all areas of construction and remodel work, and can help you get the epoxy that will fit your project. We know the proper surface preparation needed for all types of epoxies, and have multitudes of experience in the proper mixing and application for each of those types of epoxies. 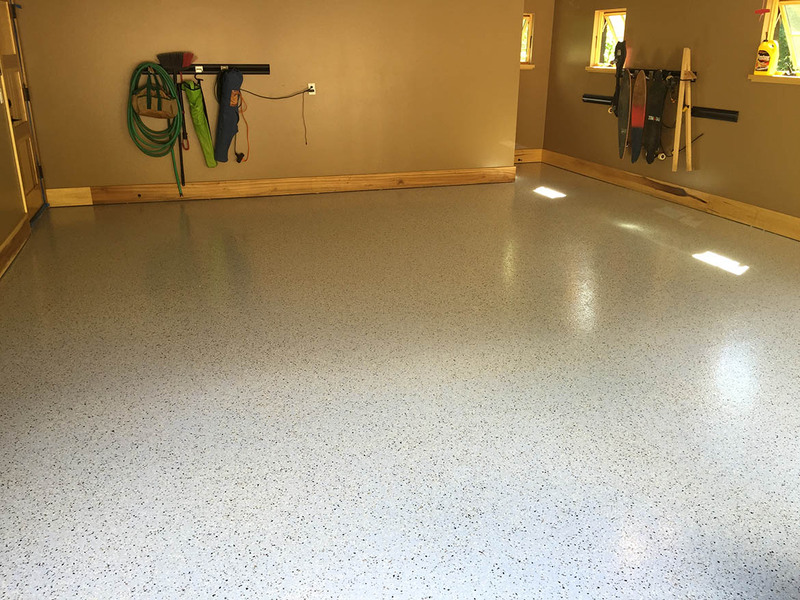 We are also experienced in using flake garage systems, which is an extremely popular flooring option that involves an epoxy combined with small multicolored chips. Using either a colored epoxy or a clear epoxy, multicolored chips are mixed in or broadcast over the epoxy and are given a clear coat sealer on top. Epoxies are also used to coat industrial shops, factories, and plants because of the extreme durability and chemical resistance that these coatings provide. No matter what your facility needs, we can apply the correct product to withstand the harshest environments. Our suppliers are able to provide us with multitudes of different epoxies, each with different specs, that will hold up to your specific criteria, allowing you to not worry about the durability of your floor. No matter which epoxy flooring option you’re looking for, we are the contractor with the best knowledge and experience to help you get the floor you are looking for! Don’t miss out on letting us help you get the garage floor that will fit your needs!